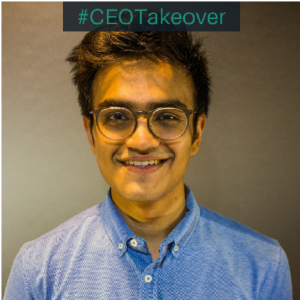 As part of #CEOTakeover, Advensure’s CEO talks about his Scuba Diving Experience. Unbeknown to many, he’s a PADI certified Dive Master. 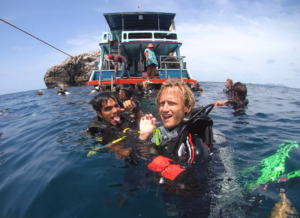 He discusses how going underwater feels like, and the joy of taking someone on their first dive! Sadly, many of us are not as spiritually enlightened as Mr Millman to realize the potential and beauty of each moment and more so, to practise it in our day to day lives. Many people have written and spoken of being spiritually present in each moment of our life. But most of us are bogged down by the reality and responsibility of our lives to do that. However, an interpretation one can make out of this lesson is – the extraordinary moments are what will make your life worth living. Digging into the past, what do you remember the most? I am 26 years old. And when I think about it, my memories are mostly made up of the times which are extraordinary. These times are a combination of the speciality of the moment and my spiritual presence in that moment. Of being oblivious to all else. My mind goes back to when I was 2 years old and I was playing with my father in the rains. It goes back to my mother playing games with me to make me eat. Or when I sat in the plane, scared to bits, to go skydiving. I even remember my mother shouting at me for stealing money from my aunt. Such moments can be terrifying, exhilarating, peaceful or sad. But they are essential, are times when nothing else mattered, it was just me and that moment! To quote Dan Millman again – “I was the moment“. Such moments, to me, are quintessential moments. Particularly, I remember the peace and silence inside the ocean when I go scuba diving! There are many things that pull me towards scuba diving – the beauty of the life underneath and the silence. The excitement of seeing a creature that was almost mythical or meeting new people and connecting over a common love. But what got me to take up the Dive Master course was the pure happiness you get to give to people after they go for their first dive. That very first experience of having your I-live-on-land sense shocked to its core and experiencing joy after, is beautiful for me to experience. It’s my opportunity to create these “Quintessential Moments” for fellow humans. Such moments are most of what you will remember in your life, they are what will make it special. 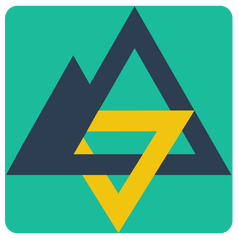 So whatever it is that floats your boat – creating art, getting a promotion, being with your loved ones or jumping off a cliff, run after such moments. Inspire and create your quintessential moments, for those will leave a mark forever. 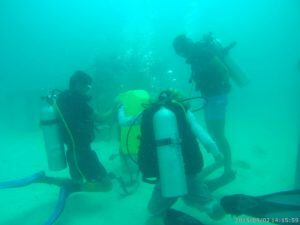 Inspired by Manan’s Scuba Diving Experience? Maybe it’s time you finally took that dive trip you’ve been putting off! We’ve got loads of options for you to try! Want to read more about Manan’s awesome experiences?